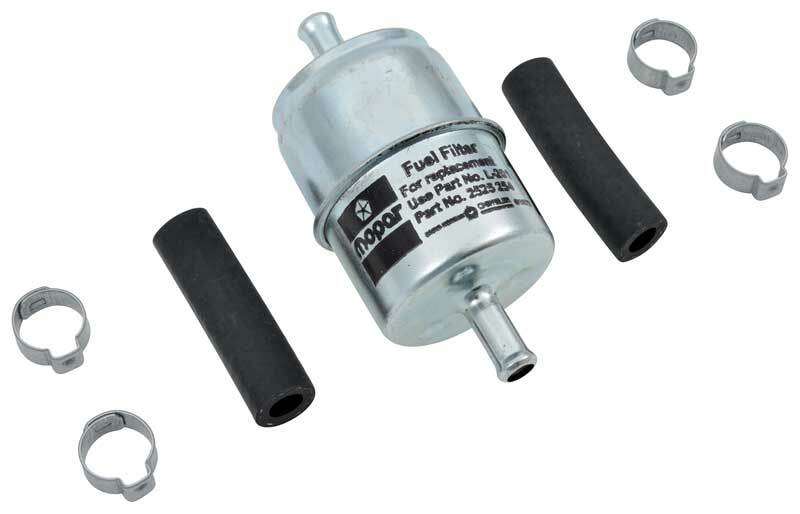 These concourse quality 5/16" fuel filters are printed with the correct shade of blue and feature manufacture code, day of year and year codes just like the originals. This is a ?Factory Original? filter which is what would have been installed on your car at the factory. Officially licensed by Chrysler as a Mopar Authentic Restoration Product and identical to the originals in every detail. Each filter kit comes with 5/16" date coded steel filter, two 2" pieces of ?KV? hose and four period correct clam ps.